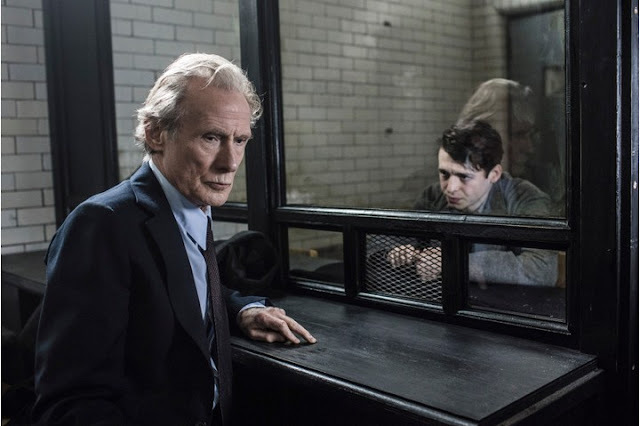 The Custard TV: REVIEW: Ordeal by Innocence - Does BBC One's latest Agatha Christie adaptation deliver? 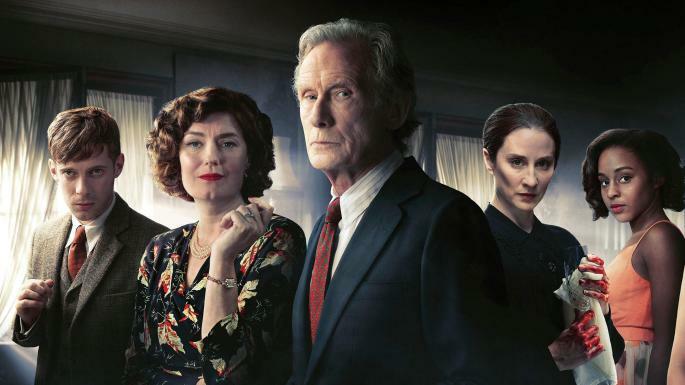 REVIEW: Ordeal by Innocence - Does BBC One's latest Agatha Christie adaptation deliver? Given the much-publicised production trouble we’re lucky to be able to see it at all. It was due to be the BBC1 Christmas drama centrepiece but had to be recast and reshot quickly with Christian Cooke as son Mickey instead of Ed Westwick, as Ed faces allegations of historic sexual abuse. In 2018, especially on a production with two women at the helm, going ahead with the original version would have been unconscionable. But honestly, if you spend more than 30 seconds looking for the join then I feel bad for you. The story is far more gripping than just material for speccy nitpickers. Although even thinking about how complicated the logistics must have been make me want to give the director Sandra Goldbacher and her crew a standing ovation. As the reshoot took place in winter the on-site editing team were kept busy cutting icy breath from scenes that were meant to be taking place in August. Phenomenal work! The opening two minutes are a whirlwind of death and gothic fantasy ducking in and out of a timeline and weaving events of years and years together in a jarring montage. The action (and boy, is there a lot of it) centres on the wealthy Argyll family. 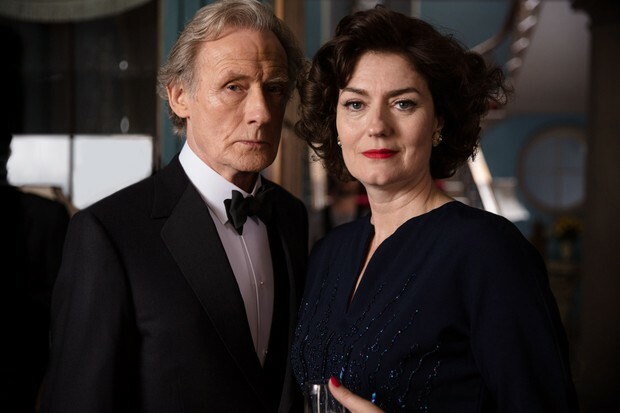 Mum Rachel (Anna Chancellor) and Dad Leo (Bill Nighy in a rare TV role) have adopted a vast family of fairly disturbed orphans from all different counties and backgrounds. Having grown up with a dominating bullying matriarch who insists on projecting the perfect vision of family life at all times, is it any wonder she ends up bashed on the head, dead in a pool of blood in her own home? All I’m saying is watch out Brad and Angelina. We don’t get much help in actually unravelling the story until over 17 minutes in when we finally get our first real conversation. We begin to iron out the confusion 18 months after Rachel’s murder. Her son Jack (Anthony Boyle) was convicted of the killing but protested his innocence to the end. And his end was final. Someone murdered him in prison before his trial. He’s the guy in the coffin we see in the initial montage, at the Victorian style funeral where I’m guessing the Addams family are about to make their entrance - cara mia! A twitchy stranger calling himself Dr Arthur Calgary (Luke Treadaway) turns up to provide Jack’s alibi on the same weekend as Leo is getting remarried to scheming secretary Gwenda (Alice Eve). We’ve not even got to the Buck's fizz and it’s all kicking off already. Despite the dizzying speed the camera lingers slow and sensual on the most gruesome details. Housekeeper Kirsten (Morven Christie) listens to the news on the radio about the atomic threat and nuclear fallout (protect and survive guys - hide under a table and we’ll all be fine!) as she guts a dead-eyed fish. We linger over the dark blood drip-drip-dripping into a bowl. Every item, ever person, in the house is a sinister threat and the camerawork and staging makes it all so brilliantly vivid. A quick word to break up the tension about the fantastic casting, particularly Luke Treadaway supposedly a scatterbrained scientist, but clearly a hot mess of a person and just as troubled as the family. Do we buy his story about being away at the North pole and missing his chance to exonerate Jack in time or does he have a prison tan as the perfectly acidic and probably perceptive son-in-law Philip (Matthew Goode) suspects? Bill Nighy is doing his excellent angry and baffled routine, and Eleanor Tomlinson is almost unrecognisable as desperate-to-please daughter Mary; a character who couldn’t be more dissimilar to the capable and crusading Demelza Poldark. So this is the deal - if poor crazy Jack was innocent after all, Rachel’s killer is still free, and at large in the family home. At this point, there’s so much venom and barely-constrained rage whirling about the place it could have been any or all of them. The attention to detail is fascinating but the mood, the tensions and the direction means it’s a very unsettling watch. It’s as confusing and disorientating as a Turkish raki hangover, so go into it with a clear head, an attentive attitude and do pause it for a cup of tea if it all gets too much. It’s far too frightening to watch it in the dark. You have been warned.